Dimensions: 1000x1200x154 mm. VMF pallet standard (D VMF 3071) was created in France for glass industry, especially for bottle transportation. Pallets can be heat treated according ISPM15/IPPC requirements and can be kiln dried as well. 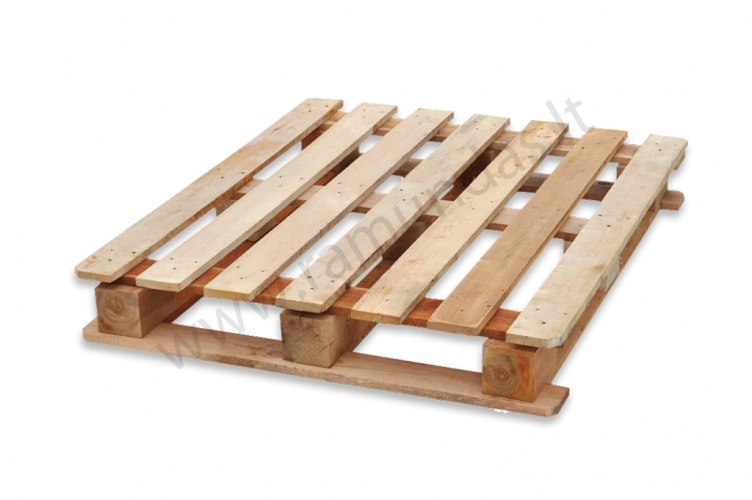 Pallets can be repaired and used repeatedly. License for producing VMF pallets can be issued only by VMF association. Each producer receives unique ID number which is imprinted on pallets too. Customer code and date of production also are imprinted on pallets.